A new sound out of the CD-Pro2LF! New: with MKP and Mica/silver condensers! This device co-operates outstanding with the CD-Pro transport. It is an really plug´and ´play device. 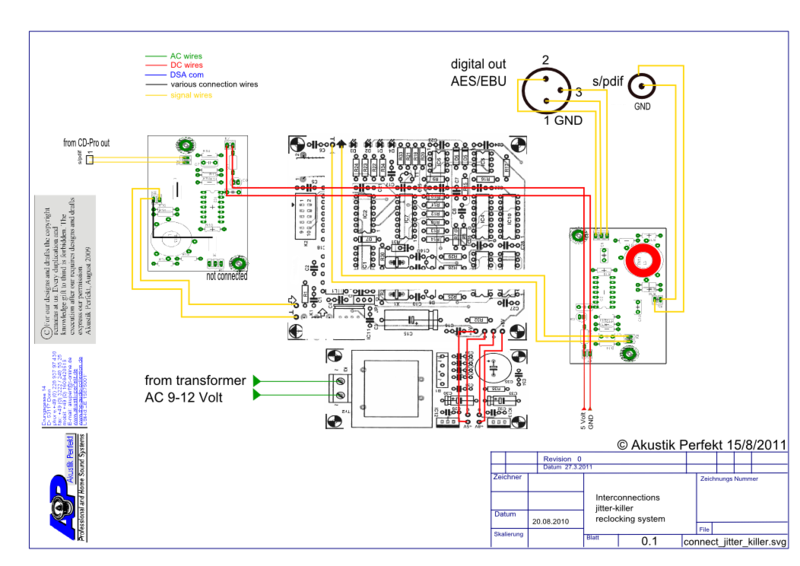 It will be connected between s/pdif output of the CD-Pro or another CD-transport and the DAC. The result is astonishing: The sound works clear up and more calmly. The instruments and voices are better to locate in their position on the stage after the jitter killer is connected. The woman's voices are very silky. The high frequencies are less sharp. Everything works more vividly and more audible. The CD-Pro2LF does not have to be changed. There is not a risk of a malfunctioning, because on the sensitive printed circuit board of the drive assembly must not be soldered for changing the crystal. A later exchange of the transport is simply possible without expensive changes. Upgrades can be simply re-tooled. No special extremely expensive and only with a reseller available components are needed. The sound result is alike the solution with changing the crystal. Another advantage i the very stable out signal (please see below)! It works all more calmly and more cleared up. The woman's voices are very silky. The high frequencies are less sharp. Everything works more vividly and more audible. The PLL inserts time correct flanks and separates the signal levels of useless flanks. original beat of the input signal runs. - thus without jitters. It engages 32 kHz, 44.1 kHz and 48 kHz automatically on the Sample frequencies. 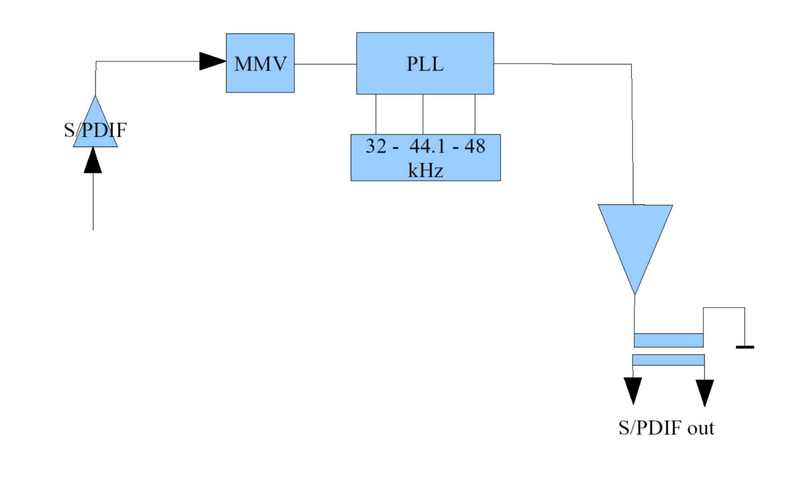 Whereby the circuit is so co-ordinated that 44.1 kHz have „priority “, since the jitter killer is usually used with a CD-player. Attention: If you use an older CD-Pro2M you need an additional digital output stage between the CD-Pro and the jitter killer. This stage will work with TTL signal. You have much better flanks no overshoot. A perfect signal rectangular wave.